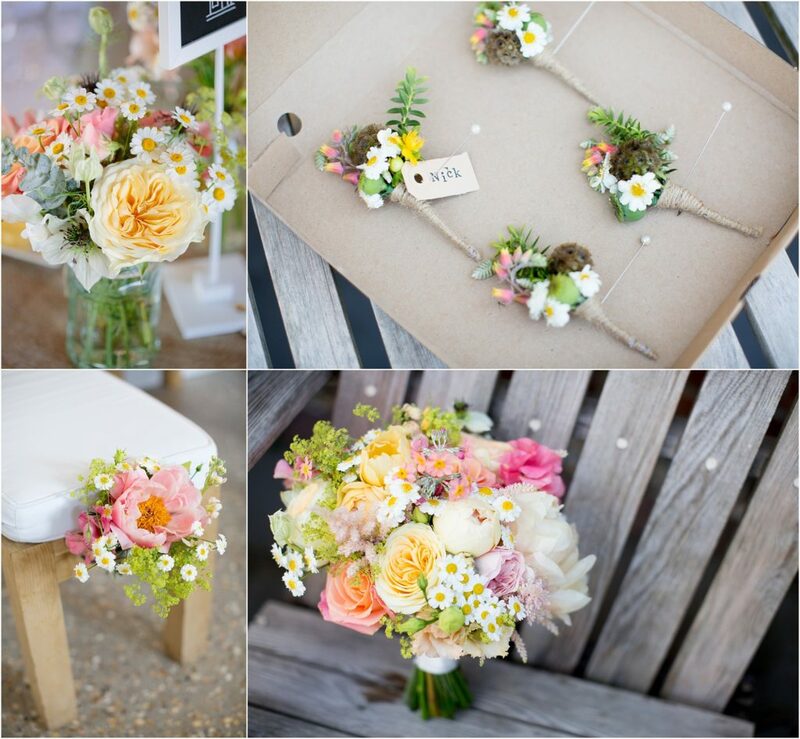 Your wedding flowers, in my opinion, are one of the most exciting parts of your wedding to plan. There is just so much choice when it comes to beautiful blooms. Each and every season presents a whole host of floral options. In spring you have an abundance of gorgeous scented flowers such as hyacinths and peonies. In summer, roses are at their best and smell so beautifully romantic. 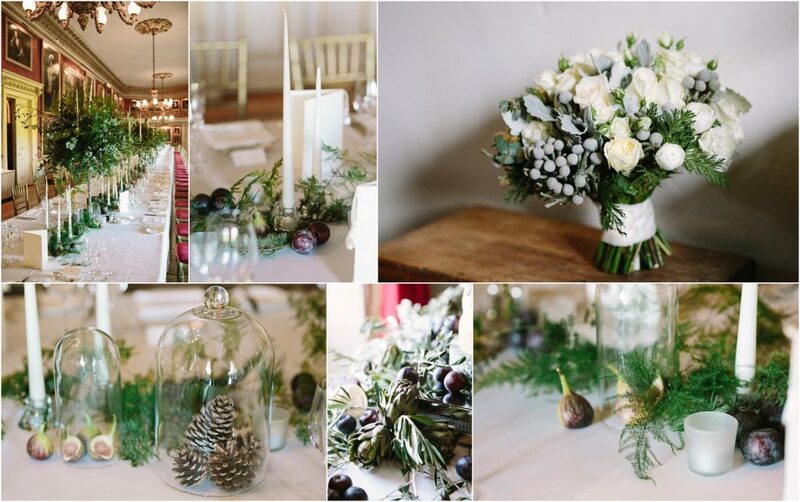 In the autumn you can start getting creative with darker tones and seasonal fruits and berries, and in winter there is an incredible amount of sumptuous foliage to enrich your wedding decorations. I absolutely love seeing your wedding flowers on your wedding day and always spend a good amount of time photographing your bouquet and other floral wedding details. Choosing your wedding florist will largely depend on the style of your wedding. 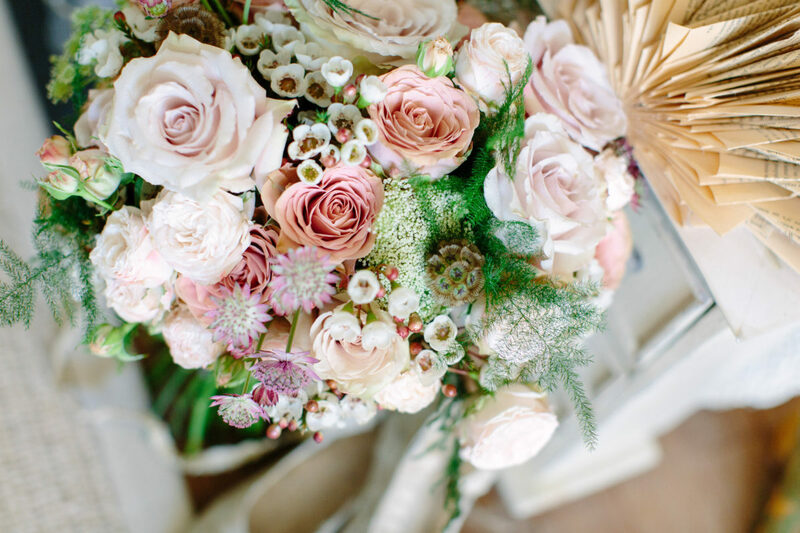 Whether your day is going to be extravagant and opulent, rustic and wild or modern and alternative, there will be particular flowers and floral arrangements which will perfectly compliment your wedding look. 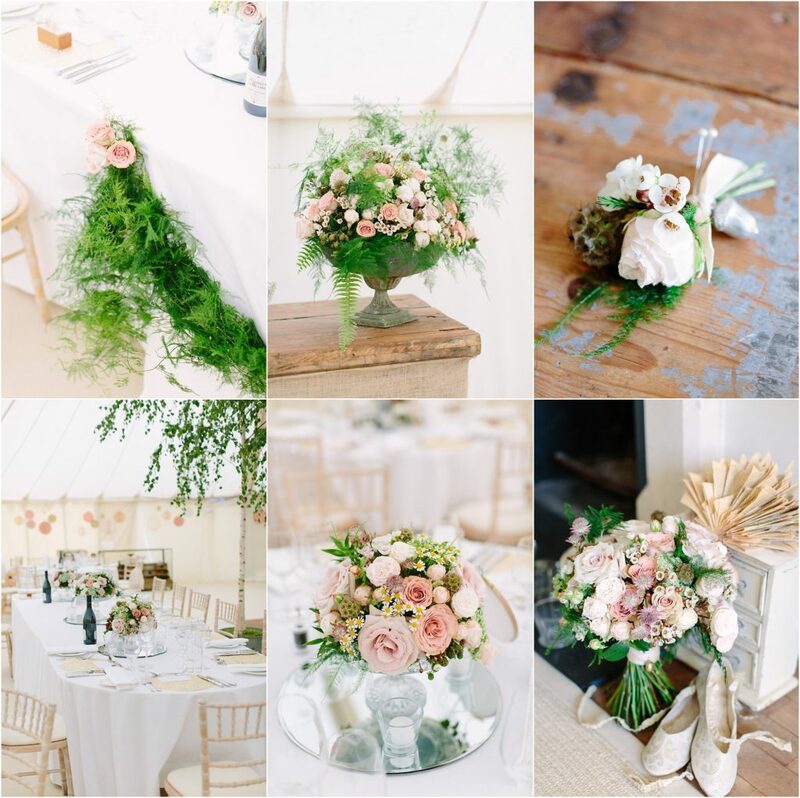 Florists tent to have a signature style which is displayed on their website, but the best place to really get to know your florist is Facebook, Instagram and Pinterest as this is where you will be able to see their recent work and decide if they are right for your wedding. I am always completely in awe of the florist on the wedding day and seeing the bride’s face when her flowers arrive is always just magical. I’ve included a picture of this moment on my own wedding day to illustrate exactly what I mean, pure astonishment! Here is a collection on beautiful flowers from some of my favourite florists. I hope this is inspiring in planning your wedding flowers. 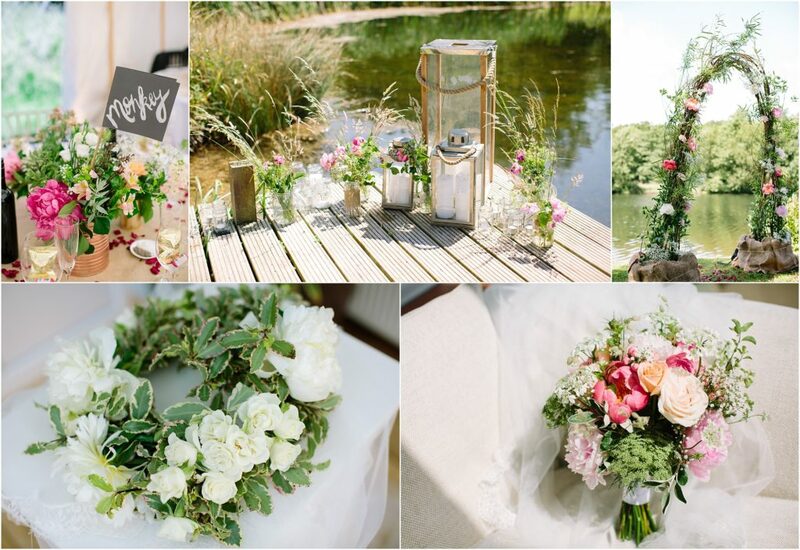 Beckie-Lou created beautiful wild floral arrangements for Hannah & Ed’s Farbridge wedding. 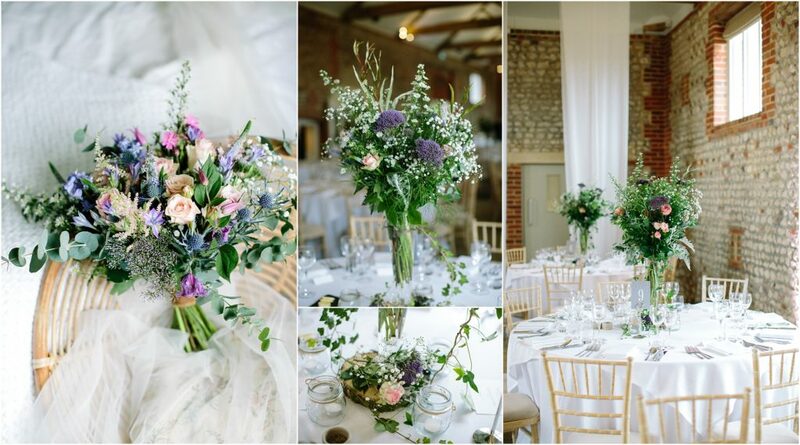 Caroline Oleron wowed everyone with her stunning colour florals for Lauren & Nick’s Southend Barn’s wedding. Passionate 4 Flowers made the most incredible flower crown and ceremony arch for Becky & Gary’s Duncton Mill Fishery Wedding. 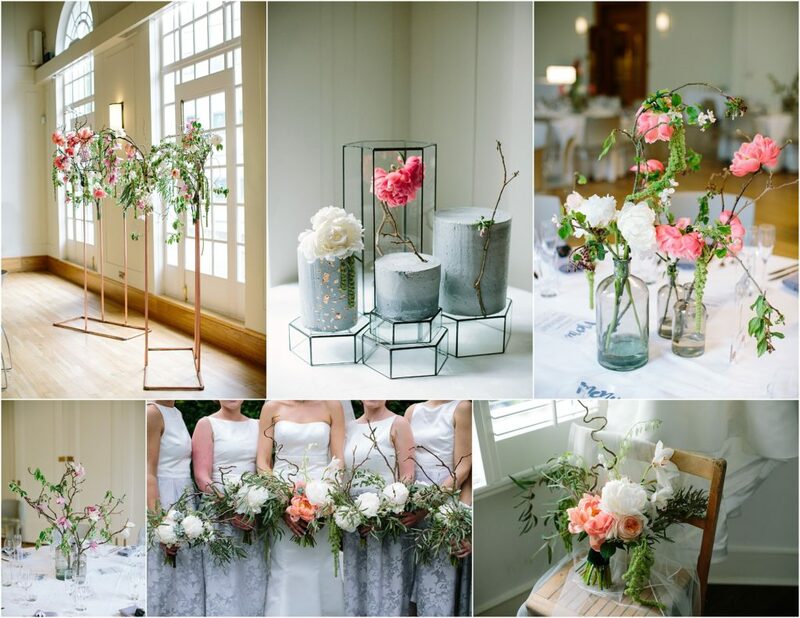 Frida & Sophia created the most beautiful pastel arrangements for Louisa & Russell’s Hole Park wedding. 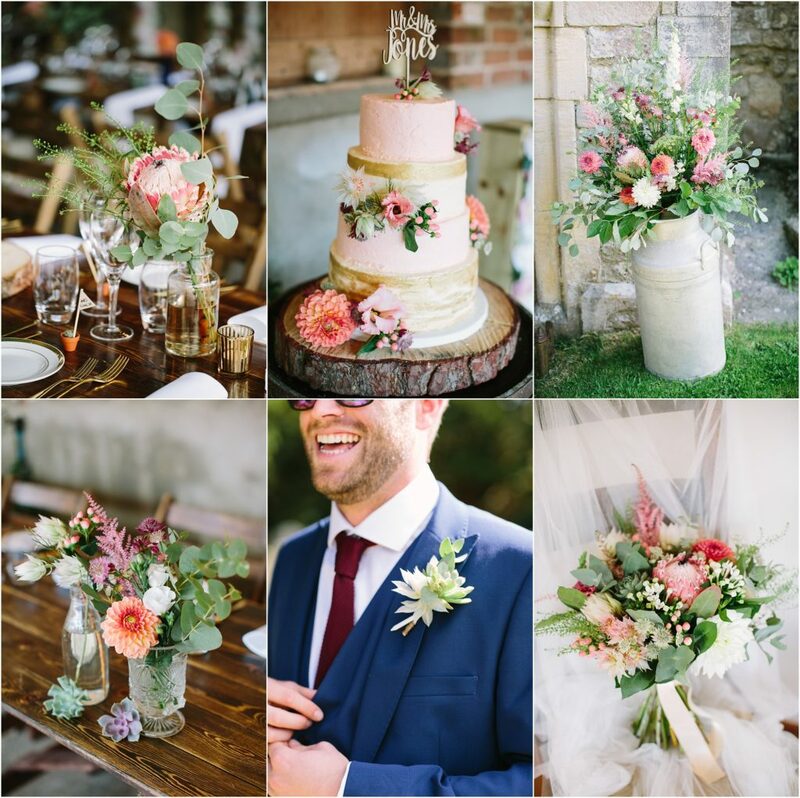 Laura Smith Flowers mixed contemporary and classic for Anna & Luke’s amazing Warborne Organic Farm wedding. 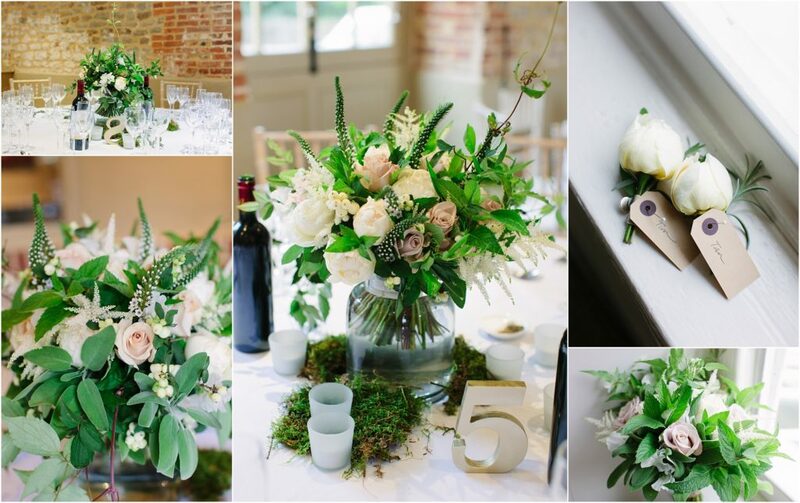 Albert and Arthur created a muted and elegant floral display for Amanda & Mark’s Cowdray Walled Garden wedding. 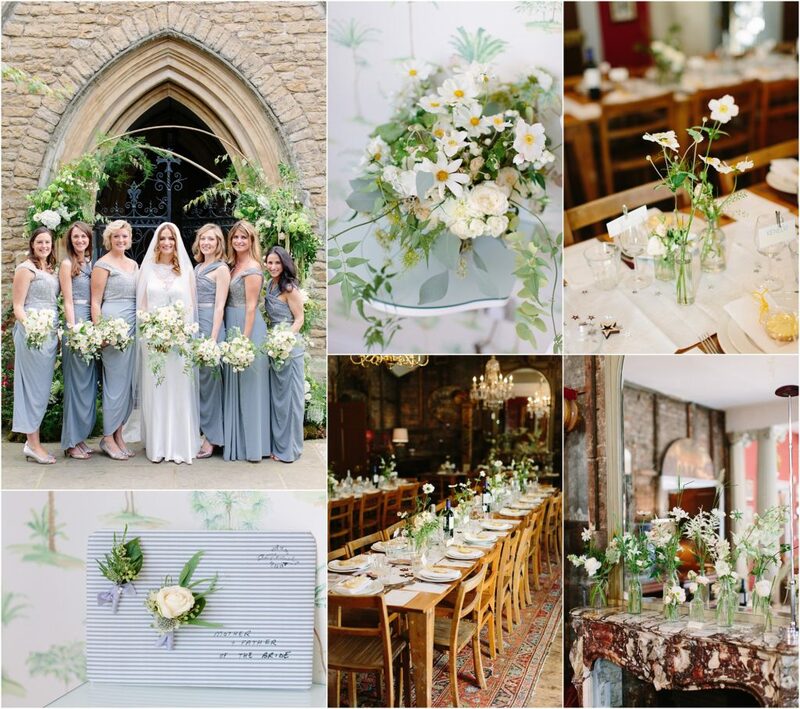 That Flower Shop created seriously beautiful flowers with a modern twist for Janey & Tom’s Bruswick House wedding. Boom Blooms stunned me with these amazing structural and modern florals at Hannah & Tom’s Hackney Town Hall wedding. 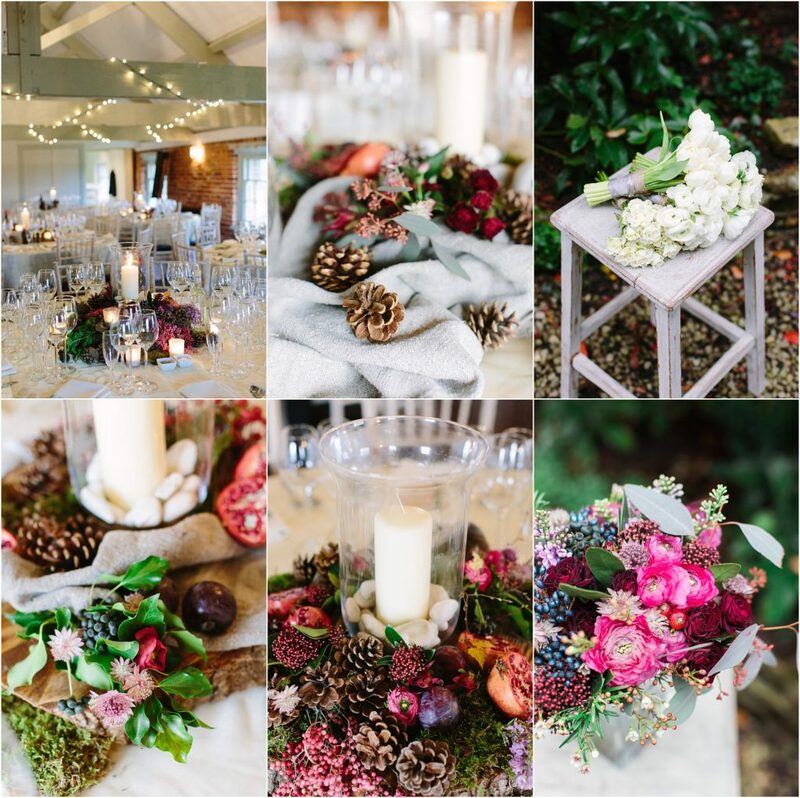 Rabbit & Rose worked with stunning autumn flowers and fruits for Lauren & Jon’s Sopley Mill wedding. Albert & Arthur created luxurious grandeur for Frankie & Sam’s Goodwood House wedding. 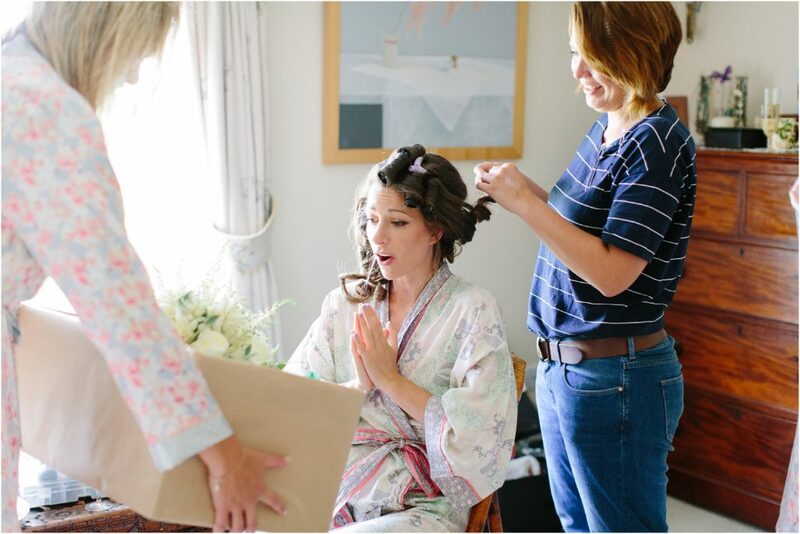 Thanks so much for mentioning my flowers – I’ll always remember Lauren and Nick’s beautifully planned wedding, right down to Lauren’s yellow nails – seriously cool! And that photo of you is priceless – but I am not surprised that you looked like that if Matthew created them!